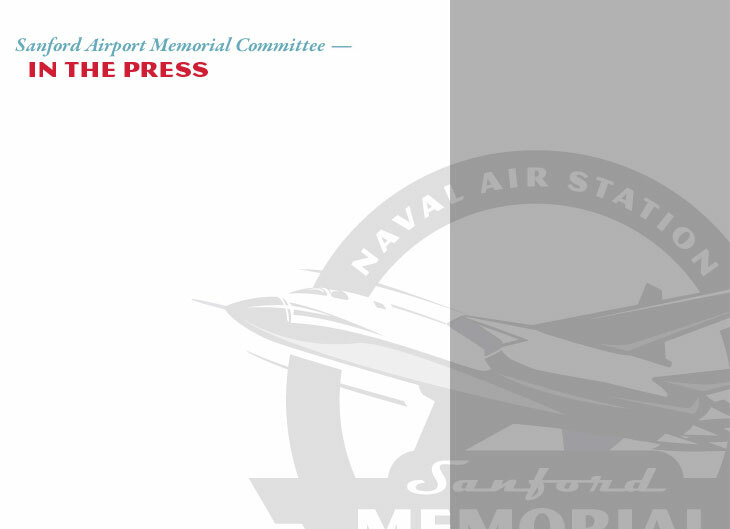 The Sanford Airport Memorial Committee has been recognized for our efforts and accomplishments by many different media sources. Our local newspapers, the Orlando Sentinel and the Seminole Herald have covered our acquisitions and progress throughout the years. We have also had media coverage in local and national magazines, including Orlando Leisure magazine, Smithsonian Air and Space magazine and the international aviation magazine Flypast.